Ian Shapiro is the Owner and Senior Industrial Hygienist at Nv Environmental. In this role, Ian performs detailed mold inspections, with moisture meter analysis. With his delicate approach to mold and water damage, Ian creates an atmosphere of support and knowledgeability for the all clients he collaborates with. Ian specializes in distinguishing between mold concerns that require professional mold remediation and the variety of cases that can be addressed by a general contractor. Ian identifies not only visible concerns, but also hidden concerns and potential problematic areas. Prior to becoming the Owner of Nv Environmental, Ian was employed by Pacific Health and Safety in Irvine, between 2001-2003. He dealt primarily with inspections related to insurance claims regarding mold and water damage, air quality, and lead. At this firm, Ian became a certified lead inspector and personally trained other industrial hygienists. From 2003-2009, Ian worked for SOS Mold in Santa Monica, where he continued as an industrial hygienist. At this firm, he gained extensive knowledge of the real estate inspection field and expanded his skill-set to the point where he became the managing director of the firm. As Managing Director, he trained industrial hygienists, recruited new inspectors, and travelled between offices. Ian has provided expert testimony in court and in depositions on behalf of his clients on many occasions. Unsatisfied with the corporate side of property inspection, Ian officially launched his own mold and water damage inspection company in 2010: Nv Environmental. With Nv Environmental, Ian aspired to create a business focused on the client’s needs, as opposed to profits. Ian believes that building a company based on trust requires a solid ethical foundation focused on educating the client (whether they be renters, owners or real estate agents) on the complexities of inspection in the most easily comprehensible way. With Nv Environmental, Ian has made property inspection more accessible to those who require more affordable inspection services, and to those who have been left helpless by unfortunate circumstances that require an empathetic inspector. Ian takes pride offering a detailed inspection that leaves clients feeling comfortable, educated about the process, and satisfied with the service they’ve received. He created Nv Environmental’s Preliminary and Post Remediation inspection reports to be visual and easy to read for all involved. Ian was born and raised in Southern California. He holds two BA degrees in Criminology, Law & Society and Environmental Analysis from the University of California, Irvine. 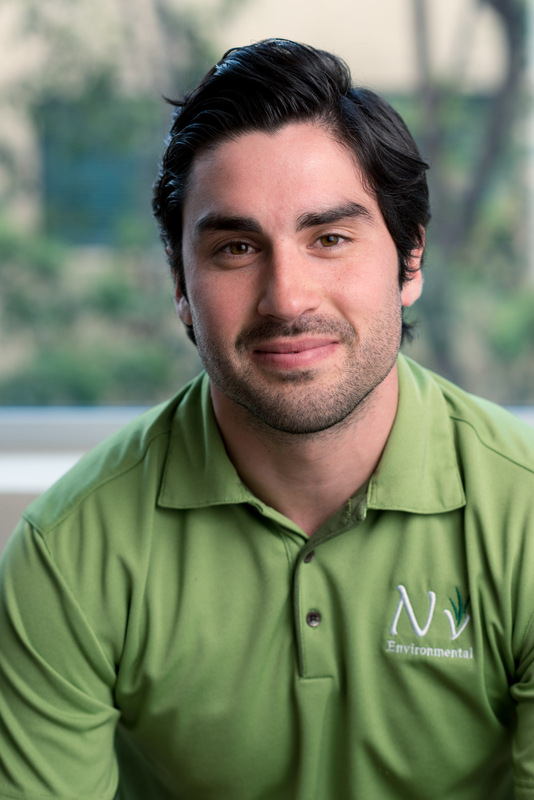 David Puccio is an Industrial Hygienist at Nv Environmental. In this role, David specializes in onsite inspection, consulting with clients, identifying signs of water damage and mold growth, and creates a detailed inspection reports. David’s dedication to quality customer service can be seen in his adeptness in identifying problems while maintaining a comforting setting for the client. David brings breadth and depth of experience to Nv Environmental, with over 10 years of customer service experience. Prior to his position Nv Environmental, David worked in homeowner’s insurance, where his specialty for individualized client care was developed. It was there that his passion for helping people grew and his desire to expand his knowledge on residential analysis began. 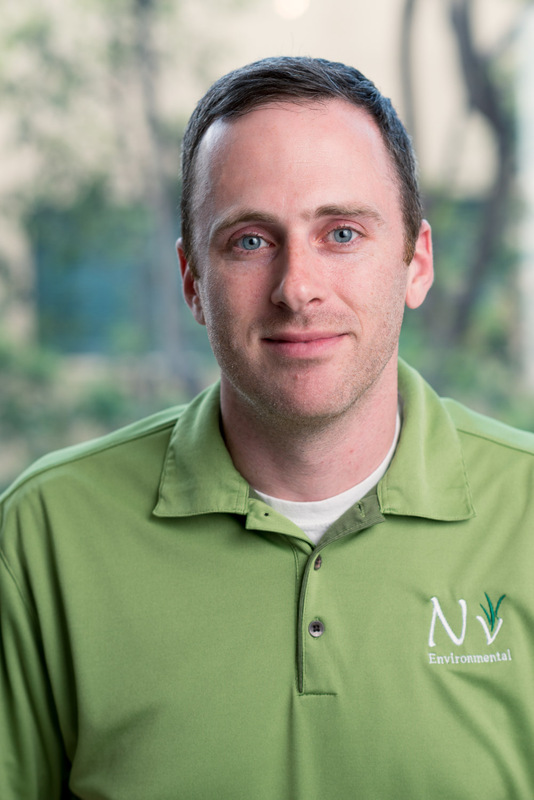 In 2012, he began training with Nv’s Ian Shapiro to become an industrial hygienist. With Ian, he developed the skillset to identify mold and water damage and designed protocols to address those problems. David takes pride in offering a meticulous inspection and providing the client with trusted resources to facilitate remediation. David was born into a large family in Argentina and grew up in Southern California. David holds a BA in History and a minor in Spanish from California State University, Long Beach. He is fluent in Spanish.